Bronwyn is a new age humanitarian with a heart and a soul. She truly cares about helping others. She is a feminist with conviction. Bronwyn has an innate need to focus her energies on helping the less fortunate of the world. Accompanied by the fortunate women of the world and through her goals and missions she will make a path to social salvation. If she plays her cards right, and I am sure she will, she will certainly become the next Jane Addams. "Bronwyn has achieved extraordinary results for SAIL Capital in several important matters. She executes each project with a unique and powerful combination of elegance, realism, strategy, and unwavering focus." 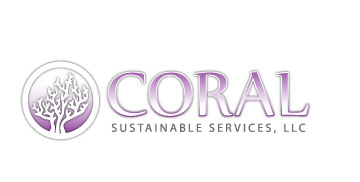 Coral Sustainable Services LLC provides strategic consulting and business acceleration services to emerging technology innovators, greentech, wellness and sustainable companies, with a focus on sustainable innovation. We emphasize cross-border fertilization of energy, water and agricultural technology cooperation in Australia, New Zealand, Asia Pacific, India, China and the United States. Coral is available to assist in other countries on a case by case basis. Coral is a thought leader in providing insights, advice and business development services in connection with the sale of products and services as well as with introductions to potential customers and sources of capital. Our rolodex of relationships and introduction capabilities include government officials, executives at major corporations, sovereign funds, government funds, and superannuation/pension funds. We help our clients obtain grants, equity, debt capital and government contracts. 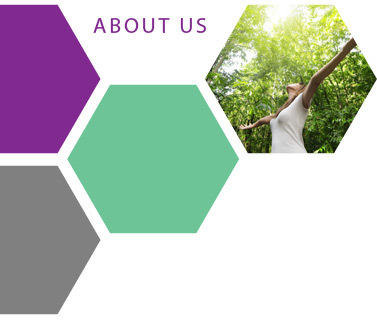 Our experience in greentech, wellness, and sustainability has been forged through a lifelong, deep passion for these issues and a commitment to making a difference in the world in improving people’s lives and the natural environment. This year, Bronwyn will participate with SAIL Capital in the first US Trade Mission on Sustainability, and as a presenter of prestigious awards at the Banksia Sustainability Awards in Melbourne, Australia. Coral is also working with Vitatech Nutritional Sciences Inc. to establish special strategic initiatives in global water solutions, including an investment in WaterHealth International Inc.
Our mission is to advance the cause of sustainable development of both our planet and our civilization. Bronwyn Leigh Jones is the Founder, President and CEO of Coral Sustainable Services, LLC, and serves as an advisor to SAIL Capital Partners LLC and several private SAIL portfolio companies currently expanding in Australia, Asia Pacific, India and Europe. Her vision and mission for Coral reflect a lifetime of commitment to sustainability and wellness. Bronwyn first appeared on Television in an AIDS awareness campaign at the age of 14. This launched an enduring and successful career in acting and modeling and as a charitable spokesperson for the Medical Benefit Fund of Australia, which established her as a national celebrity. She went on to appear on numerous shows throughout Australia and Britain including "Neighbors" which was syndicated to an audience of over 70 million people worldwide. Bronwyn has always been philanthropically-minded and a champion of various charitable causes as well as global sustainability. Her celebrity became the foundation for a natural transition into more entrepreneurial pursuits in production, cause-related commerce and her passion, sustainability. Bronwyn has advised prominent cause-centric brands such as ONEHOPE WINE and worked with leaders in cleantech and sustainable innovation such as Green2Gold.org. In late 2010, Bronwyn became a key advisor to Walter Schindler, Founder and Managing Partner of SAIL Capital Partners LLC, a leading global investor in energy and water technology companies with a focus on sustainable innovation. She has since become a valued consultant on global growth and expansion to five SAIL portfolio companies and is assisting with their efforts in Australia, Asia Pacific, India and Europe. Walter is the founder and a Managing Partner of SAIL Capital Partners LLC, and co-manages all aspects of SAIL’s operations and investments. His primary responsibilities include capital, finance, operations, exits and communications. Under his leadership SAIL has been selected by the World Economic Forum as a member of its Community of Global Growth Companies and has been chosen by the U.S. Department of Commerce to co-lead with Deutsche Bank the U.S. Trade Mission on Clean Energy to Germany. Prior to SAIL, Walter served as the Managing Partner of Gibson, Dunn & Crutcher’s Orange County, California office, one of the largest in its worldwide network. His 20-year career at this leading international law firm included advising on some of the most successful IPO’s and mergers in the US during that time, including work for Allergan, Callaway Golf, Fluor, Pacific Mutual Life Insurance Company, PacifiCare, PIMCO, SafeGuard Health, and Ultrasystems. He also sits on the boards of Xtreme Power Inc. and CNS Response Inc., as well as the North American Advisory Board of The Cleantech Group, the Advisory Board of US Bank, and the Chief Executive Roundtable of the University of California at Irvine. Walter is a native of New Orleans, earned his B.A., M.A. and Ph.D. with honors from Yale University and his J.D. with honors from Harvard Law School, and studied as a Fulbright Scholar in Italy. He is the author of a book of original poetry (The Napoleon House) and a book on the life and poetry of John Milton (Voice and Crisis: Invocation in Milton’s Poetry). Jeff is a serial entrepreneur and internationally recognized innovator who has been a founder and CEO for a number of startups and high growth companies, including Priceline.com, uBid.com, and ColorJar. Jeff writes a regular column on innovation and entrepreneurship for Inc. Magazine, and works with the White House, the Executive Office of the President, and the US State Department, to support business and economic growth initiatives all over the world. Entertainment, producing movies such as the successful horror film Cabin Fever, and producing concert, tour, and charity events with such artists as Elton John, Britney Spears, NSYNC, and others.